When the Thomas Fire hit the city limits, residents fled for their lives. They recall midnight evacuations and near misses. 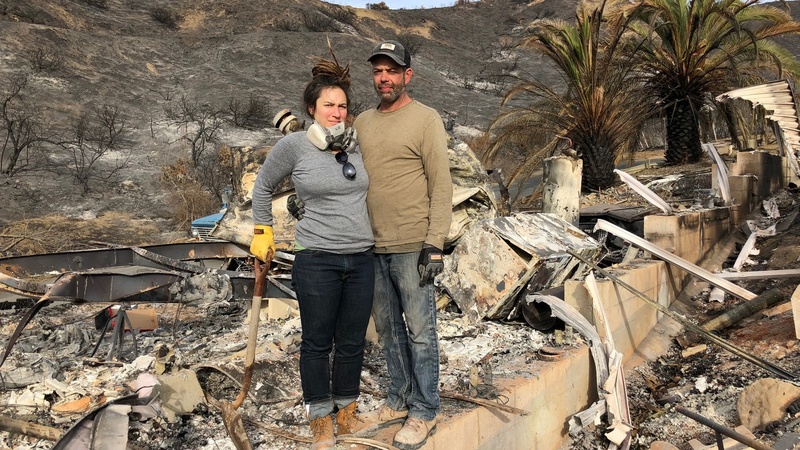 Becca Fuchs and Don Wagner at their burned home. Photo credit: Michael Shevchuk.